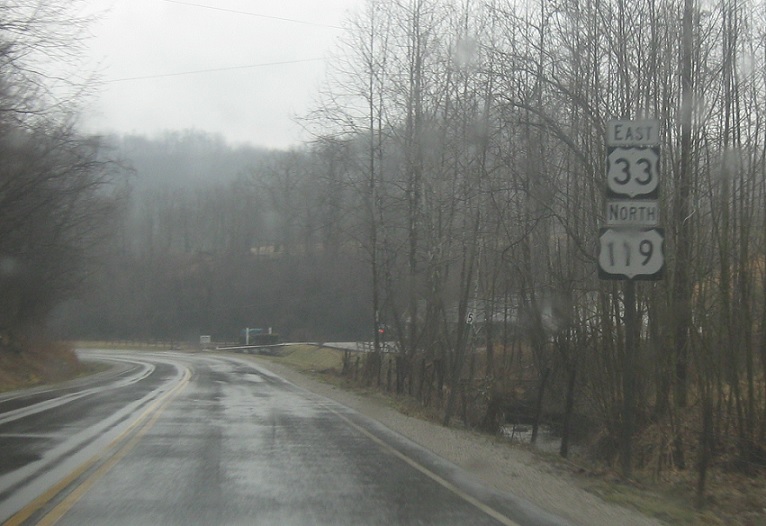 Reassurance shield as 119 joins 33. Reassurance shield as we head out of Spencer. Reassurance shield as we enter Calhoun County. 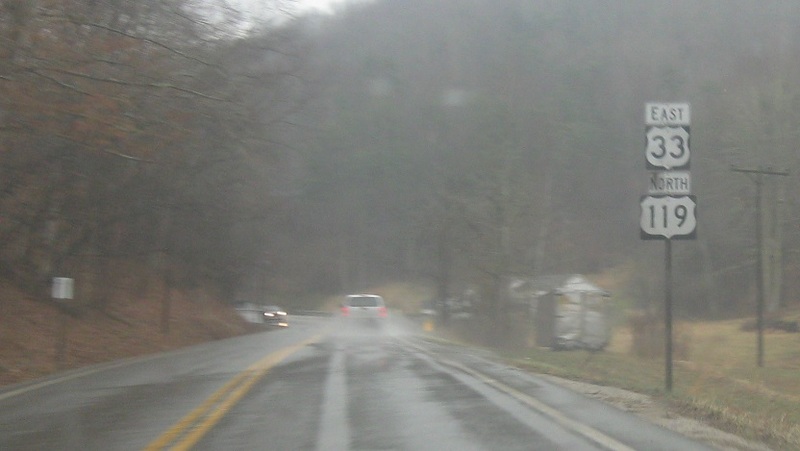 A couple miles later, we’ll approach Route 16. 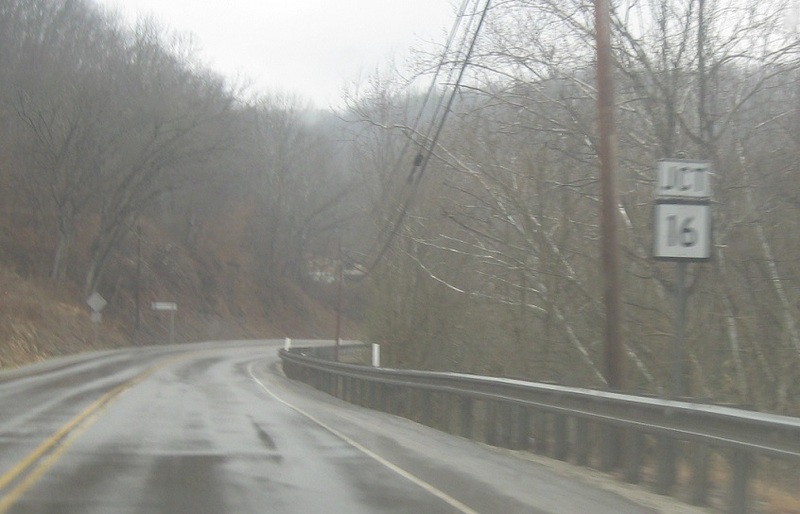 Turn right for Route 16 south to Interstate 79. 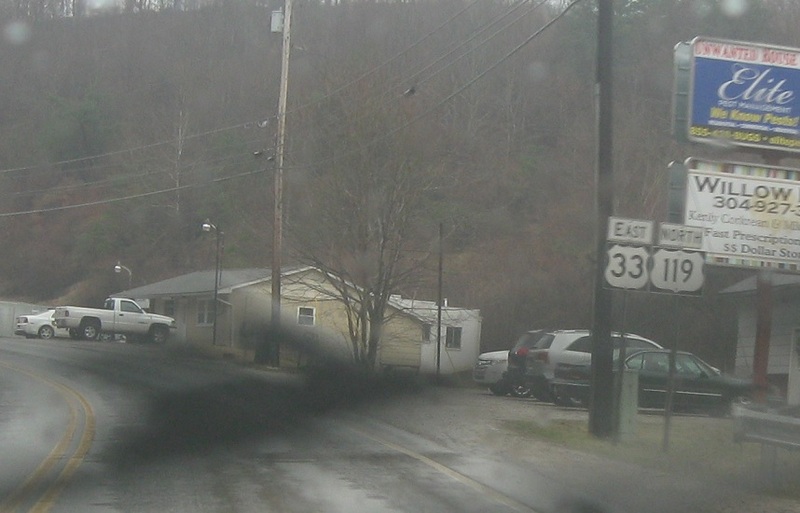 Stay straight for 33 east/119/16 north. 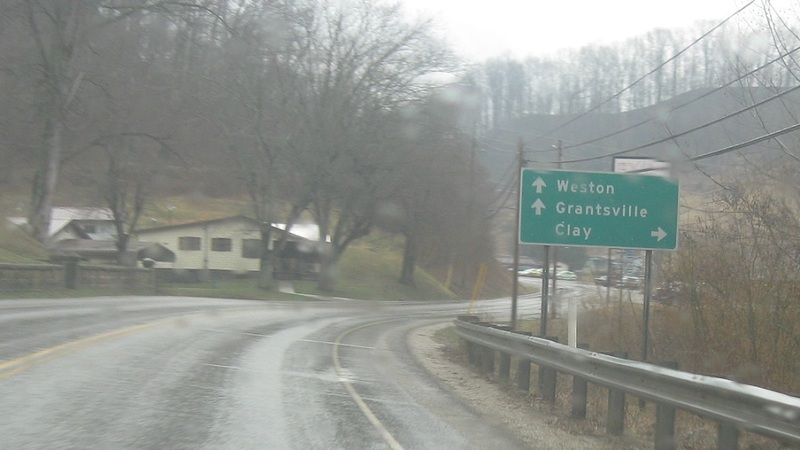 Follow 16 south to Clay. 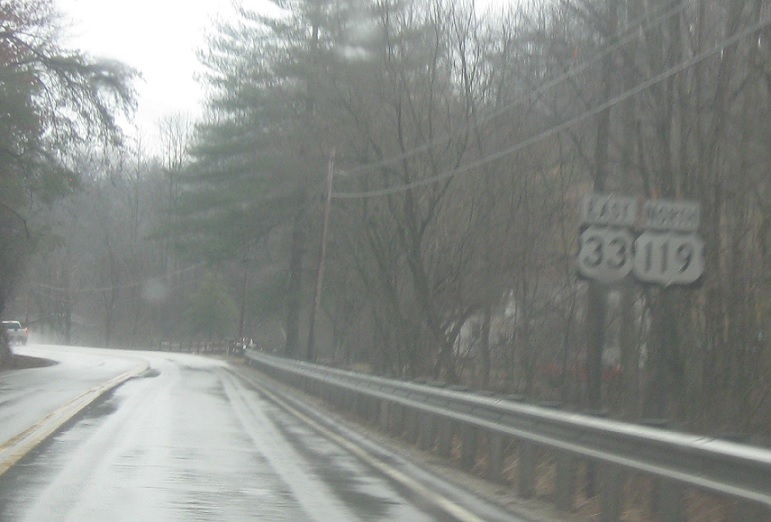 Stay on 33/119/16 for Weston and Grantsville. 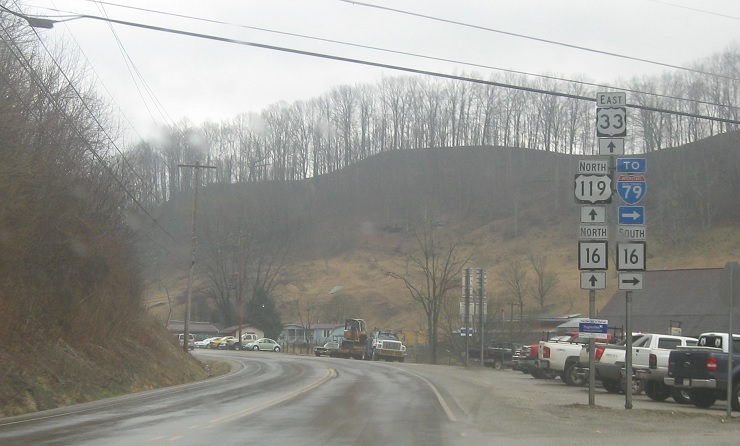 Turn right for 16 south to I-79. 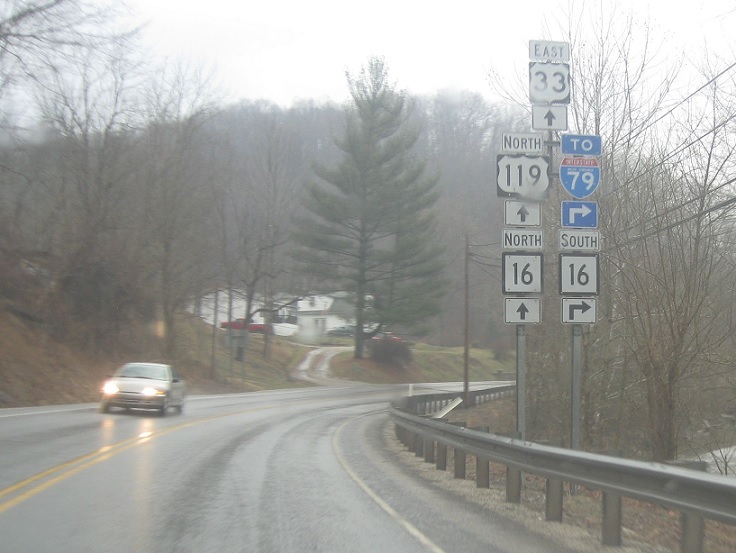 Stay straight for US-33 east and US-119/WV 16 north. The three routes concur for about a mile.